Don’t get me wrong, I love some wings and Yuengs (Yuengling). 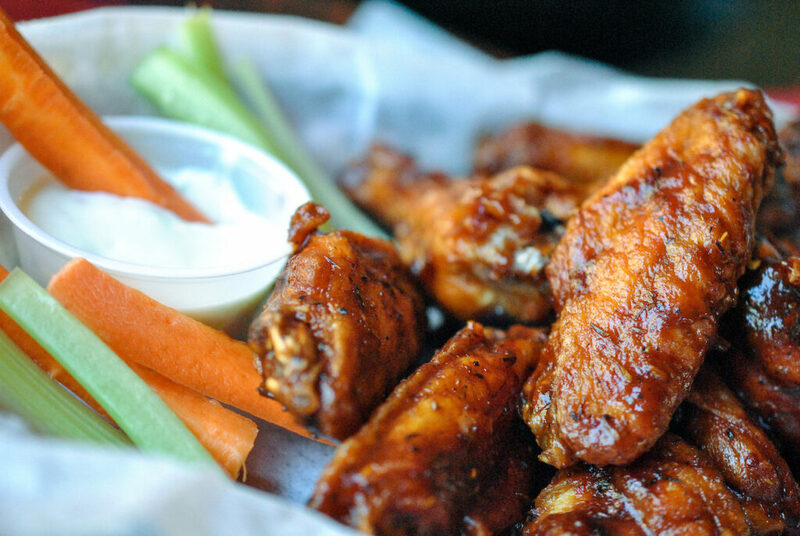 But sometimes I want the satisfaction of a Sunday funday wing buzz without all the unwanted beer bloat. 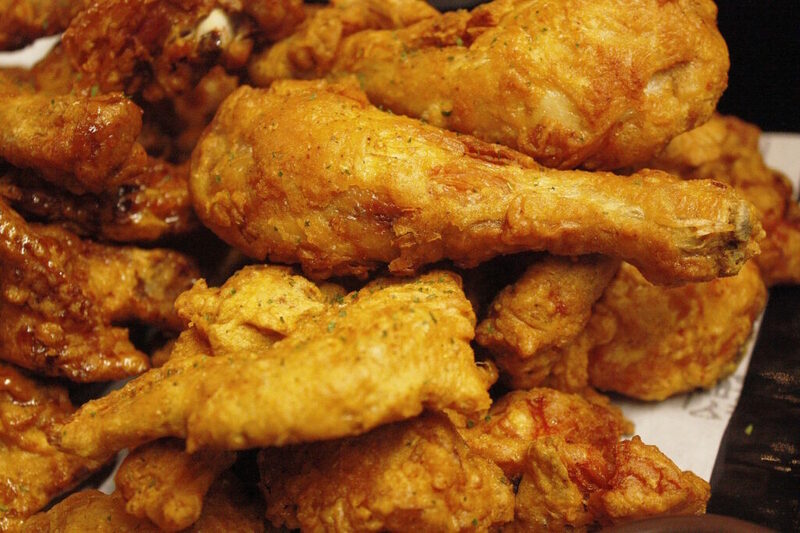 That’s why I set out to pair my favorite chicken wing flavors with various wines, and I’m here to tell you how you can, too. 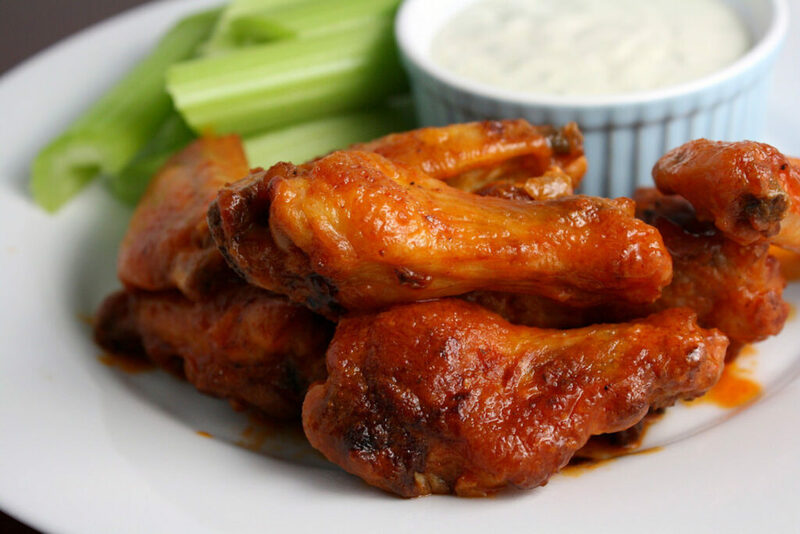 When it comes to pairing wings—whether buffalo, hot, or BBQ— usually the last thing to come to mind is wine. More often than not, game day grubbers will reach for the usual suspects: lagers, pilsners, and pale ales. Why? Because it tastes good, and perhaps more importantly, it’s what we’ve always been told. When’s the last time you stepped into a sports bar and overheard the bartender regaling patrons with riveting stories of his latest smokey-barbecue-and-California-Zinfandel coupling? Wine-and-wings may not be common, but it can be done. And guess what? It’s not that hard. For more wine and wing pairing suggestions, check out our go-to game day pairing guide below, and say goodbye to unwanted beer bloat. The sweetness of Gewürztraminer will help quell the heat. Merlot’s subtle tannins and supple fruit are a great match for mild heat. Zin’s peppery jamminess goes great with sweet and smoky BBQ. When it comes to subduing the lingering heat of a peppery jerk rub, it’s rosé all the way. A sparkling wine’s bright acidity and lively bubbles are exactly what you’ll need to cut through the rich, crispy skin of a deep fried drumstick. The floral sweetness of Chenin Blanc will not only complement the notes of honey, it’ll cut through the spicy kick of Sriracha. Sauvignon Blanc’s crisp acidity is a natural pairing with bright, lemony-peppery wings. The light, stone fruit flavors of Pinot Grigio pair well with the bite of garlic and punch of Parmesan. 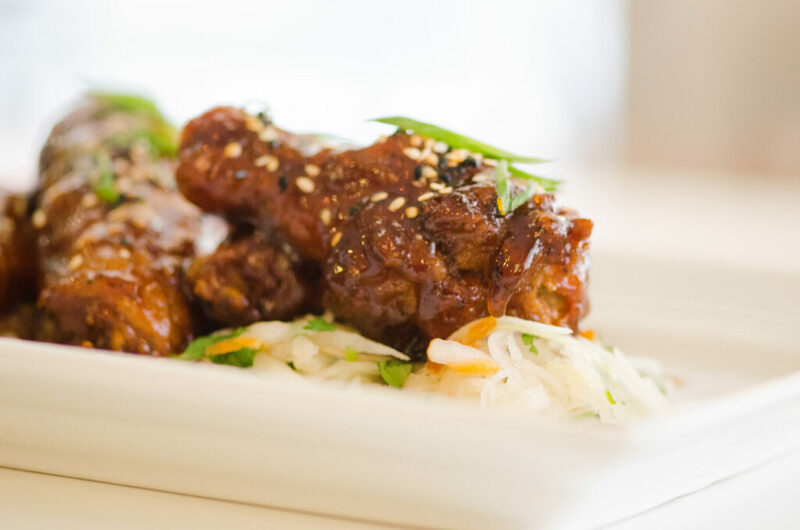 Grüner Veltliner’s bright acidity is the perfect pairing for crispy Korean-style wings. Pinot Noir’s subtle acid and earth serves as a nice counterpoint to the richness of honey BBQ. A light and zippy, fruit forward Spanish Garnacha pairs well with the sweet glaze of teriyaki. The sweet tang of honey mustard calls for a round Chardonnay with just a hint of oak. Since Thai chilis are known to induce five-alarm mouth fires, sugary-sweet Riesling is the only way to go. Marion Bernstein is a lifestyle writer for Bustle, InsideHook, and Time Out. Her work has also been featured in Brooklyn Magazine, Huffington Post, and Foodbeast.